Find Forest Park, GA Homes for sale. View Photos, Maps and MLS Data Now! Unfinished Basement (Partial) Seller Has Never Occupied The Property Thus No Disclosures Will Be Provided And Property Will Be Sold As-Is. MLS#8566389. Keller Williams Rlty Atl. Part. All Information Provided Is To Be Deemed Reliable But Is Not Guaranteed. Buyer To Verify. MLS#8566306. Mga Realty Llc. Perfect For Two Families Under One Roof. Bring Your Buyers. MLS#8565685. Palmerhouse Properties Realty. Home Has A Newly Renovated Bathroom, New Floors In Kitchen And Laundry Room And New Paint Through The Interior And Exterior. MLS#8563537. Three Points Realty Inc.. Unlimited Possibilities To Craft This Into Your Dream Home, Perfect For First Time Home Buyer Or Investors Looking To Increase The Value. MLS#8563769. Jar House Llc. All Information Provided To Be Deemed Reliable But Is Not Guaranteed. Buyer To Verify. MLS#8559922. Mga Realty Llc. Seller Has Invested In Repairing Part Of Ceiling And Roof. Please Confirm Schools Listed. MLS#8559414. Keller Williams Rlty Atl. Part. Please Use Showing Time Or Contact Agent For Showing Instructions MLS#8553621. First United Realty, Inc.. Please Email Or Text Agent For Showing Instructions. MLS#8552321. Atlanta Diamond Realty Llc. Detached Garage Stubbed For Utilities For Future Living Arrangement. MLS#8552254. Bhgre Metro Brokers. Basement Partially Finished And Needs Minor Items To Complete. MLS#8550288. Bhgre Metro Brokers. Need 24 Hr Notice To Show. Tenant In Process Of Moving. MLS#8549471. Coldwell Banker Bullard Realty. Need 24 Hr Notice To Show. Tenant In Process Of Moving. MLS#8549469. Coldwell Banker Bullard Realty. Need 24 Hr Notice To Show. Tenant In Process Of Moving. 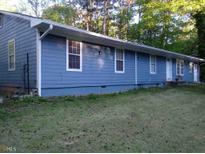 MLS#8549478. Coldwell Banker Bullard Realty. Need 24 Hr Notice To Show. Tenant In Process Of Moving. MLS#8549481. Coldwell Banker Bullard Realty. Hardwood Floors And Laminate Floors Through Out. Sold "As Is" No Disclosure. MLS#8549386. Atlanta Communities. The Spacious Deck Is Perfect For Entertaining Visitors! MLS#8548715. Jar House Llc. Convenient Location. Fenced Back Yard For Privacy. 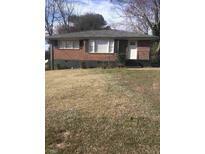 MLS#8545742. Re/Max Advantage. Tenant Occupied. Please Do Not Disturb. 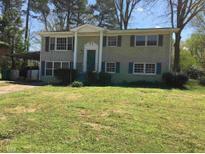 MLS#8545736. Re/Max Advantage. Easy Commute To All Points Of Interest. Great Investment Opportunity. 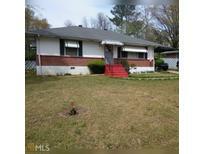 MLS#8545734. Re/Max Advantage. 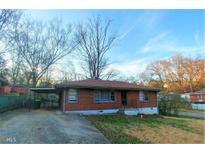 Close To All Services And Downtown Atlanta. MLS#8545737. Re/Max Advantage. Hurry, This One Will Go Fast! 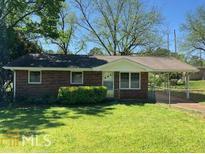 MLS#8542143. Bravo Group Real Estate. This Is A Fixer Upper, Come Add Your Personal Touches. 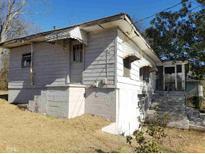 Vacant Call Agent For Code MLS#8540655. Sunshine Estates Llc. 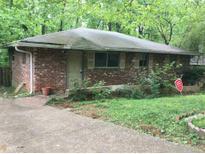 Well Maintained Home On Nice Level Lot. MLS#8540410. Keller Williams Rlty Atl. Part. Showings Scheduled After Binding Contract During Due Diligence. Fantastic Opportunity For Savvy Investor. 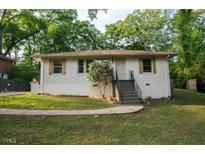 MLS#8539972. Keller Williams Rlty Atl. Part.